As the giant EICMA 2015 motorcycle show closes its doors, we’re getting the feeling that manufacturers are shifting their focus. Everyone’s scrambling (see what we did there?) for a share of the modern-retro scene. They’re designing bikes that blend modern tech with classic aesthetics and timeless sensibilities. That means motorcycles with neutral styling, more options for customization and, yes, more ‘scramblers.’ It’s a good time for motorcycling. The biggest news was the new Triumph Bonneville range, but we’ve already covered that. So here are ten more releases from Milano that got our motors running. It’s a stunner, right down to every little detail (note the line running from the back of the tank through the exhaust hanger). Husqvarna say they’re committed to expanding their street range; with any luck we’ll see these on the streets soon after the 401. 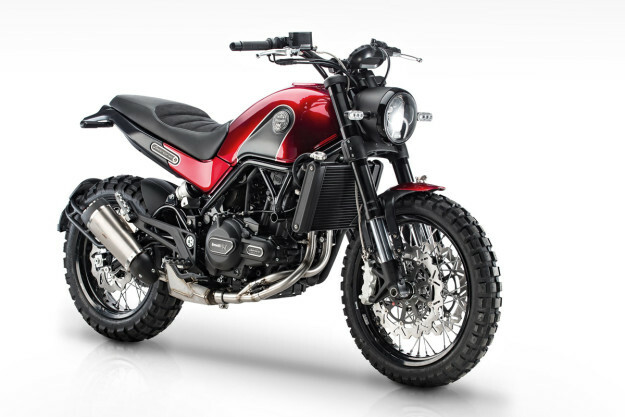 Ducati Scrambler Sixty2 Ducati have finally confirmed rumors of a smaller Scrambler with the Sixty2. 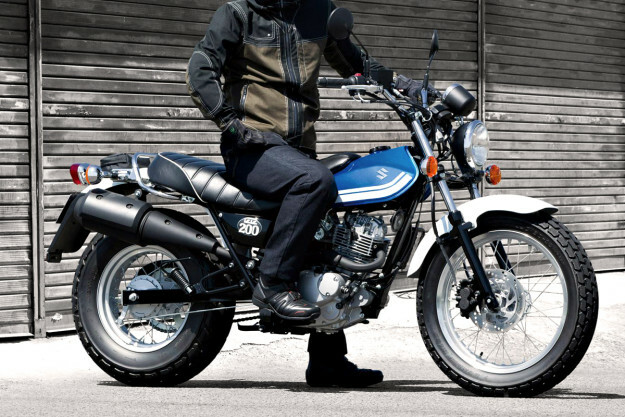 Think of it as ‘Scrambler Lite’—a 400cc variant making only 41HP and weighing about 7lbs less. Ducati have kept costs down with cheaper right-side-up forks and less powerful brakes, and they’ve ditched the swappable side panels on the tank. 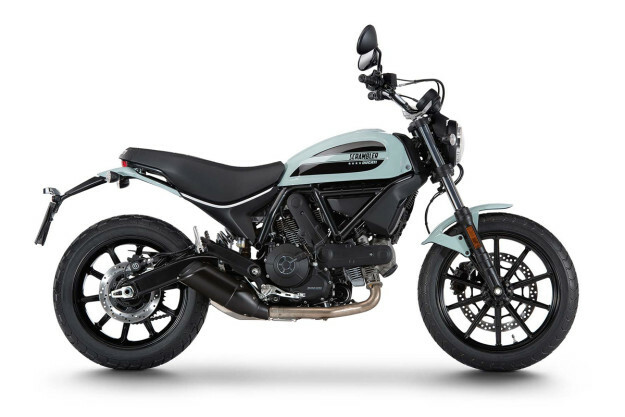 The hope is that a cheaper (and less intimidating) Scrambler will help breed new Ducatisti. But considering that the Sixty2’s set to be priced at just $500 less than a ‘regular’ Scrambler, we’re not so sure. 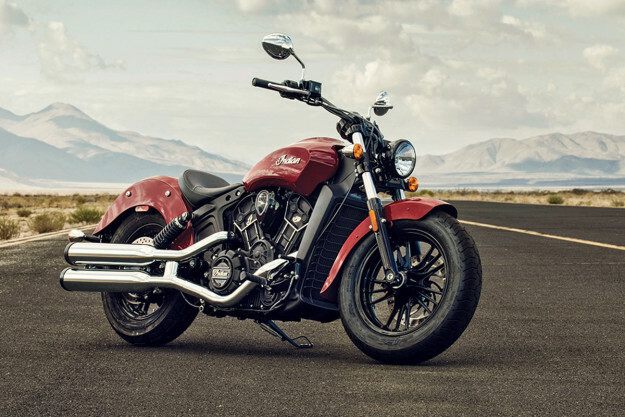 Indian Scout Sixty Another ‘Sixty’—but from the other side of the Atlantic. The Scout has been a smash hit for Indian, and Roland Sands has already proved it can be customized well. If you like the Scout—but not its price tag—the Scout Sixty is your bike. You lose eight cubic inches, about 10Nm of torque and one gear—but get to keep $2,000 more in your bank account (for the entry level model in black). To prove how much fun the Scout Sixty can be, Indian gave Roland Sands five of them to prep for flat-tracking, and proceeded to race them in the ‘Super Hooligan’ class at the Superprestigio of the Americas event, held in Las Vegas. 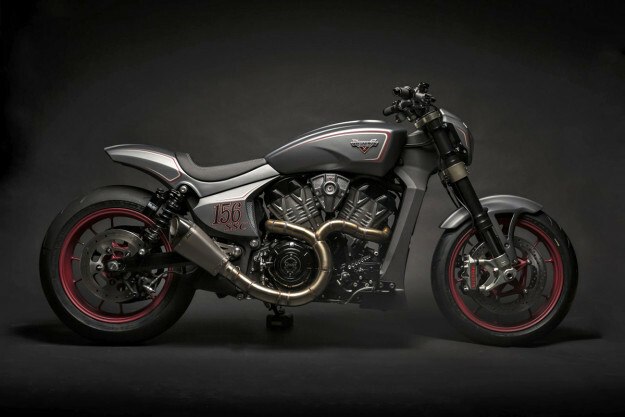 Victory Ignition Concept Remember Victory’s Project 156, the bike that Roland Sands built to race in Pikes Peak? Here’s that same engine in a new concept: the Ignition. It’s been designed by Swiss builder, Urs Erbacher. Erbacher’s drag racing history shines through—the 1200cc, liquid-cooled mill’s wrapped in a cast aluminum chassis, complete with performance brakes and suspension. Benelli Leoncino We don’t hear much from Chinese-owned, Pesaro-based Benelli these days. So it was a surprise to see them revive the Leoncino name at EICMA. The original ‘lion cub’ was a post-WWII, 125cc bike. Now it’s a 500cc, twin-cylinder scrambler. Details are sparse, but its ergonomics and spoked wheels (19” front and 17” rear) suggest that the Leocino should be good for mild off-road use. Plus it’s really cute. 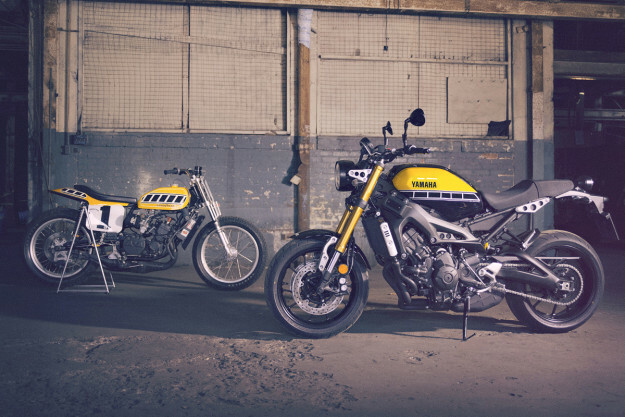 Yamaha XSR900 When we rode the XSR700, and then saw Roland Sands’ ‘Faster Wasp,’ we knew it was only a matter of time before Yamaha revealed a MT-09-based standard. And here it is: the XSR900. A bike with the same ‘Faster Sons’ design philosophy as the XSR700, but wrapped around 850cc of triple-cylinder awesomeness. Like the 700, it’s loaded with aluminum parts, round lights and a gorgeous seat, and will be just as easy to mod. Only now it also comes in a special, 60th anniversary ‘King Kenny’ yellow scheme (along with the rest of the Sport Heritage range). We can’t wait to swing a leg over it. Bimota Tesi 3D RaceCafe The Bimota Tesi 3D blends hub-centered steering with the air-cooled, 803cc engine found in the Ducati Scrambler. 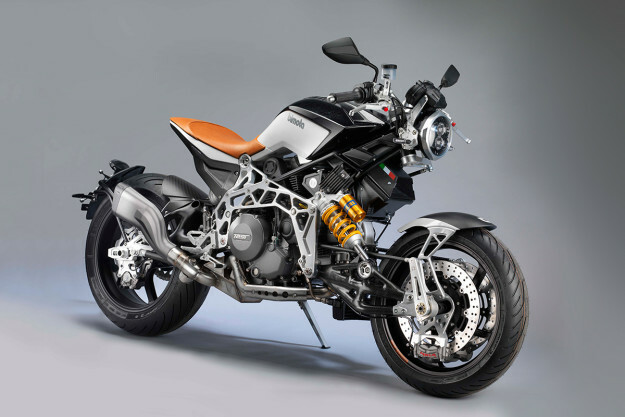 The RaceCafe variant is Bimota’s attempt at giving it a more café-racer slant. 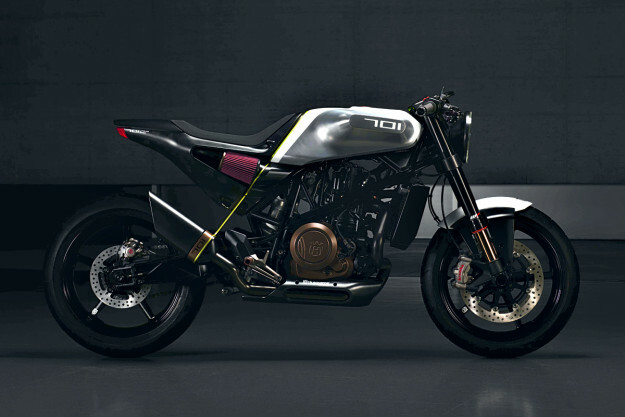 Calling it a ‘café racer’ would be too much of a stretch—but it’s exotic and outrageous enough that we love it anyway. BMW R nineT Scrambler BMW’s Path 22 concept was a sure sign that a R nineT ‘scrambler’ was imminent. But it left us wondering: how close would the final product be to the concept? As it turns out, extremely close. 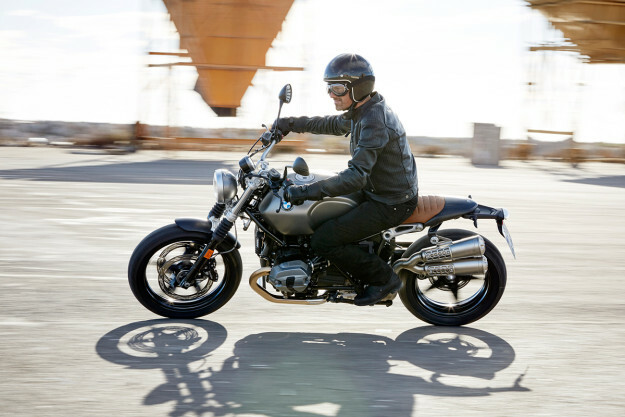 The R nineT Scrambler is built on the same chassis and engine as the stock R nineT, but with right-side-up forks, cast alloy wheels (with a 19” rim up front) and a solo seat. The ratio of bars-to-seat-to-pegs has been adjusted to be more ‘scrambler-ish.’ There are some cost-cutting features too—like a simpler fuel tank in steel, rather than the existing alloy unit. 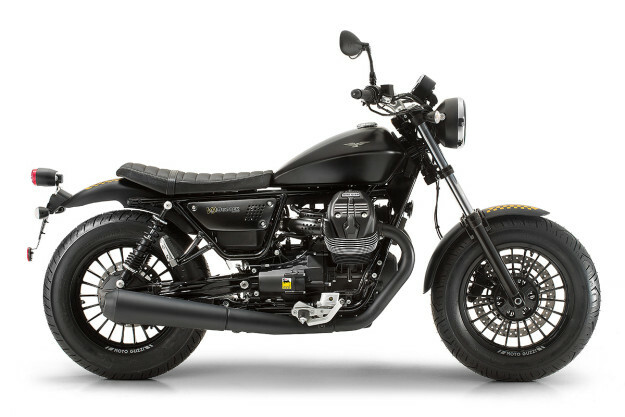 It all suggests that the Scrambler will be priced lower than the original R nineT. We give BMW top marks for styling; if they get the price right, it’s a shoo-in. 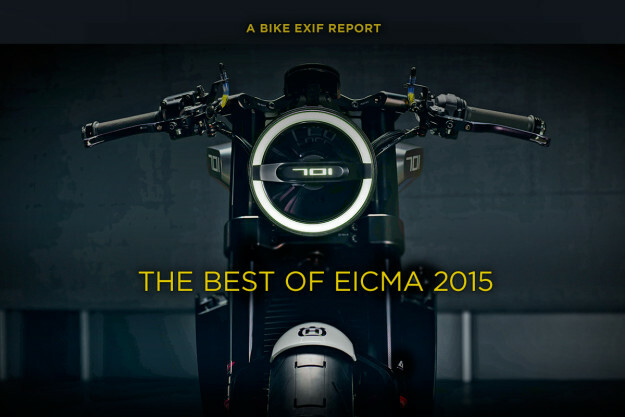 Those are our picks from EICMA 2015—which ones are your favorites?